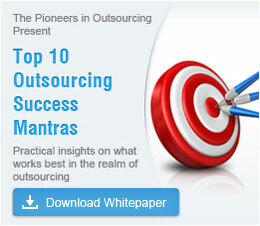 Outsourcing is the most effective and time-tested strategy to stay competitive in the global market. Offshoring is also the most economical way for your company to meet market challenges, such as, technological advancements, increasing business competition and rapid globalization. Outsourcing to a low cost destination can give your business a competitive edge by helping you reduce operation and production cost. Now that you are convinced about outsourcing, the next step is to choose the right outsourcing destination. Though the cost factor is a main benefit, there are several other factors that you must consider before you choose an outsourcing destination. The security and privacy of confidential business information is something that every outsourcer will be worried about. Recently in China, a few outsourcers experienced a misappropriation of Intellectual Property and trade secrets, causing global companies to re-think about data protection issues. Since different outsourcing locations follow different regulations, it is better to get details on the data protection practices employed by the country that you wish to outsource to. As an outsourcer, you must also check the country's network security policies and the reliability of their IT infrastructure. Choose an outsourcing location that has stringent data security and privacy policies in place. Each outsourcing destination can be differentiated on the number of graduates that it produces every year and their specific areas of specializations. For example, if you are planning on outsourcing IT-related services or software programming, India would be your best bet, as Indian graduates are well known for their skills in software programming. If you are going to outsource engineering or manufacturing, then it would be best to opt for china, as the Chinese are famous for their manufacturing abilities. On the other hand, if you wish to outsource customer support, you can choose the Philippines, as Filipino graduates are known for their expertise in English. When you are looking for an outsourcing destination, ensure that you evaluate your decision based on the skill sets that you require for a particular business operation. The currency rate of various outsourcing destinations is an important factor that must be checked. The sharp variation in the currency rates is the reason why outsourcing locations offer services at a lower cost. Before choosing an outsourcing location, you must consider the volatility of different markets, exchange rates and their fluctuation over a period of time. It is integral to choose an outsourcing location which offers government support, as this can determine the success of your offshoring project. Only with government support, can there be a smooth flow of operations in the process of outsourcing. Look for government support in terms of employment regulations, tax relief and public infrastructure amongst others. When looking for a suitable outsourcing location, it is important that you consider factors such as, cultural issues, language issues, time zone difference, political environment, social environment and safety which can have an indirect impact on the execution of your outsourced project. Outsourcing to India can help you to strategize your priorities, concentrate on core competencies, and save on operational cost. Make the most of outsourcing, by choosing India as your outsourcing destination. Contact us to get started with outsourcing.